Abstract—In this paper we present a web-based information system which is a portfolio social network (PSN) that provides solutions to recruiters and job seekers. The proposed system enables users to create portfolios so that he/she can add his specializations with piece of code, if any, specifically for software engineers, which is accessible online. The unique feature of the system is to enable the recruiters to quickly view the prominent skills of the users. A comparative analysis of the proposed system with the state of the art systems is presented. The comparative study reveals that the proposed system has advanced functionalities. Index Terms—Job recruitment, LinkedIn, portfolio, social network, visual CV. J. M. Cortes is with Sonicon systems S.L. Barcelona, Spain (e-mail: jmagrina@sonicon.net). S. Nizamani and N. Memon are with Mærsk McKinney Møller Institute, University of Southern, Denmark and University of Sindh, Pakistan (e-mail: saniz@mmmi.sdu.dk, memon@mmmi.sdu.dk). 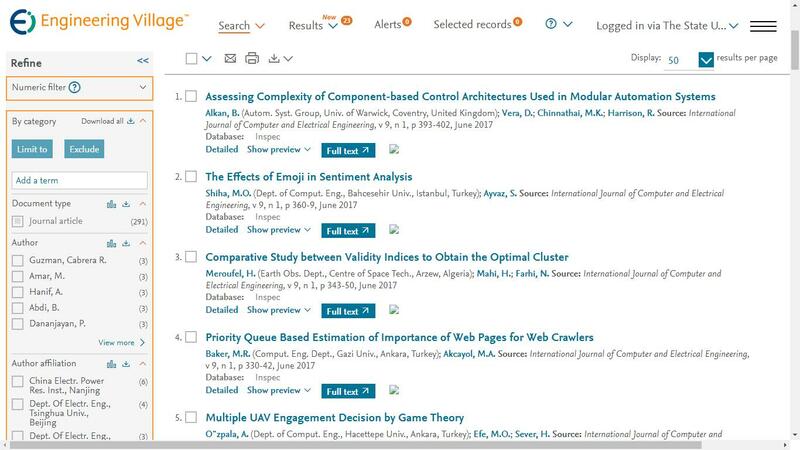 Cite:Jordi M. Cortes, Sarwat Nizamani, and Nasrullah Memon, "PSN: Portfolio Social Network," International Journal of Computer and Electrical Engineering vol. 6, no.1, pp. 12-15, 2014.